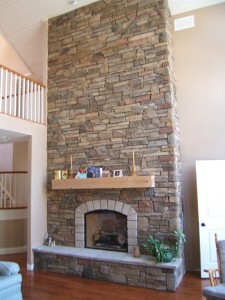 One of the most commonly used applications of manufactured stone is in cultured stone fireplaces. It is one of the easiest ways to increase the value to your house and add comfort to your surroundings. 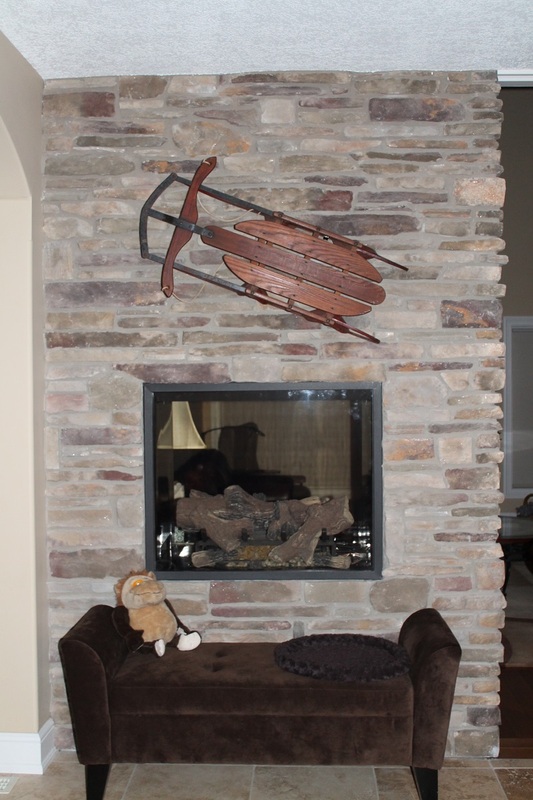 When the temperature outside starts dropping think how cozy it would be to have a stone veneer fireplace to keep you warm through the long winter months. It is so easy to make happen because of the light weight of stone veneer it does not need any special footings reinforcement to put it in your home. If you would like to see specific examples of the many textures and colours of cultured stone click here to go to the Dutch Quality site to see some examples of manufactured stone veneer. 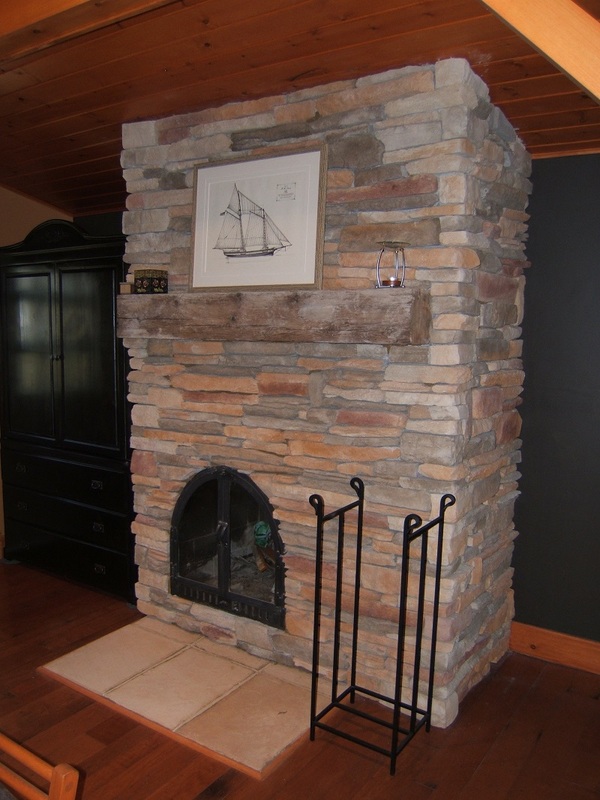 Now back to the post… we have been installing stone veneer and cultured stone fireplaces for the past 17 years and would love the opportunity to help you to design the fireplace of your dreams. We know that craftsmanship is important to our customers and so we take the time to install stone veneer to the highest standards and meet or exceed the manufacturers recommended installation expectations. We always take the utmost care when we do an install so as not to damage floors or any other part of your house. In the past 17 years we have worked hard to develop a strong reputation as reliable and professional installers of cultured stone veneer. Cultured stone is cheaper than natural stone by up to 1/2 the cost or more depending on where you are and what the going labour rate is. 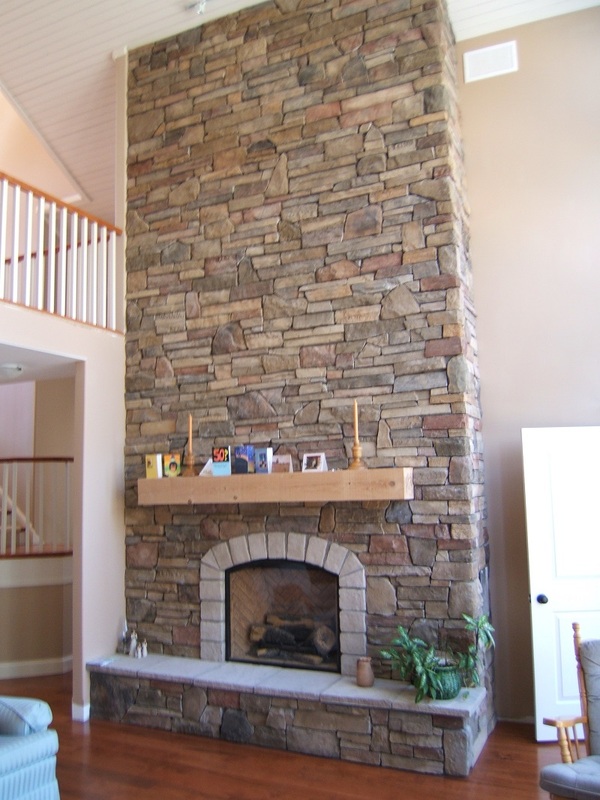 Also, cultured stone or manufactured stone does not require costly footings or wall ties. They can even be placed directly over the old brick of most fireplaces. #3 Weight of the Stone. 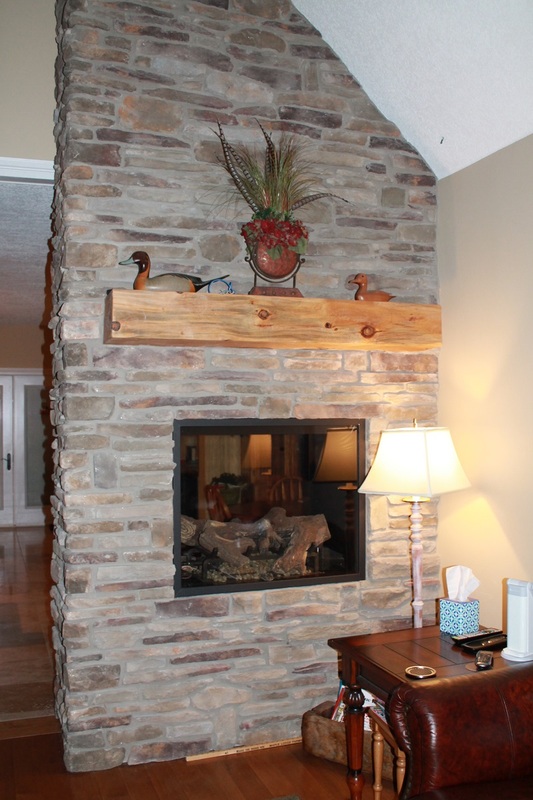 A cultured stone veneer fireplace when installed with mortar tends to weigh between 12 to 15 lbs per square foot. Due to the fact that it weights significantly less than full bed real stone it can be installed easily in your house without any costly structural upgrades. This is another reason for the lower cost of manufactured stone. 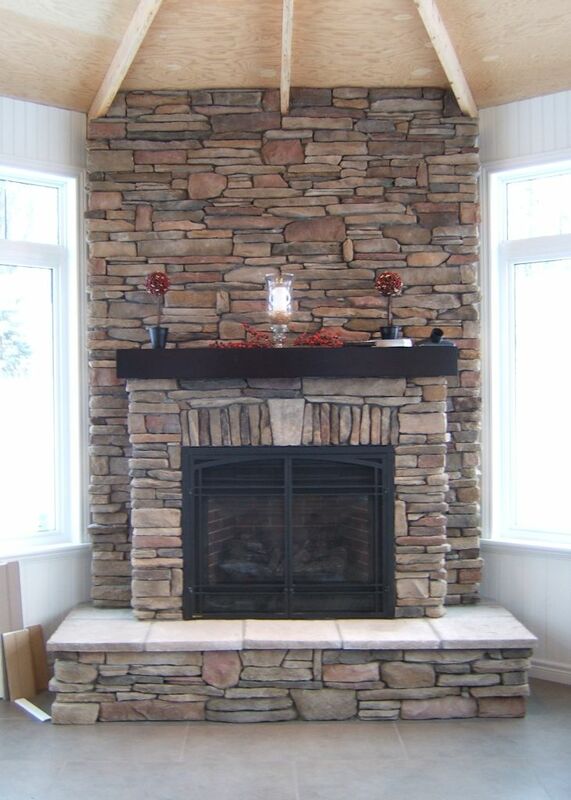 #2 Cultured stone fireplaces installs come in a wide variety of stone types and colours. As mentioned on a previous page there are countless companies that manufacture stone veneer products. Each company uses similar techniques to make their cast stone products, however each one has subtle differences in their colour tones and styles. Some examples of cast stone manufacturers are: Boral stone, Eldorado, Dutch Quality and coronado stone just to name a few. 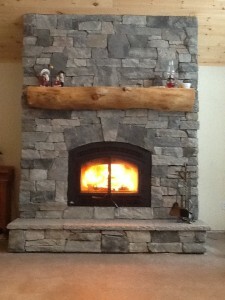 Fireplaces are given an instant “wow” factor with the addition of Faux stone. 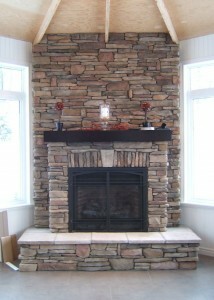 The number one reason to install stone veneer fireplaces in you home is the great look. 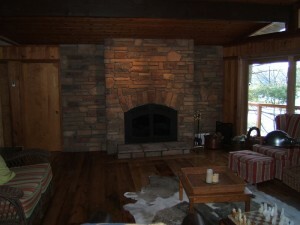 Imagine being able to have a beautiful stone fireplace in your living room or rec room or even your bedroom. 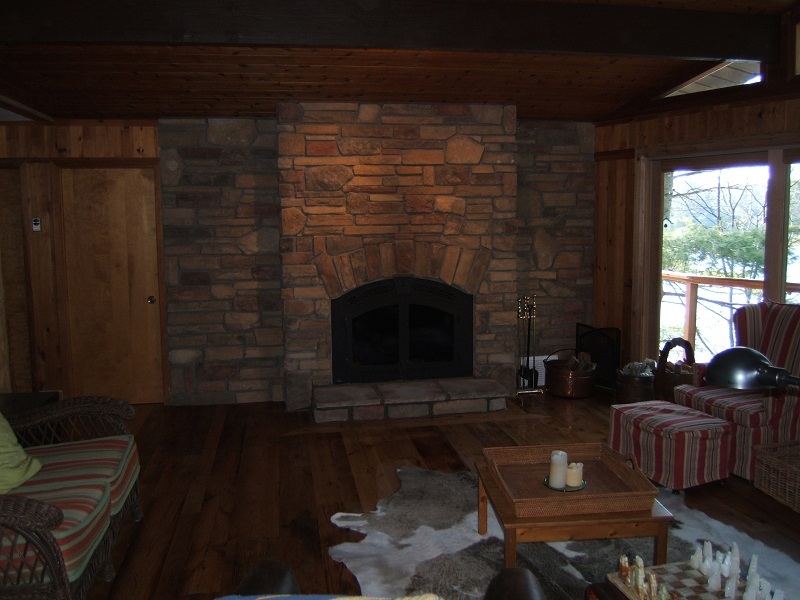 Due to the light weight of cultured stone veneer you can install it virtually anywhere that you desire. 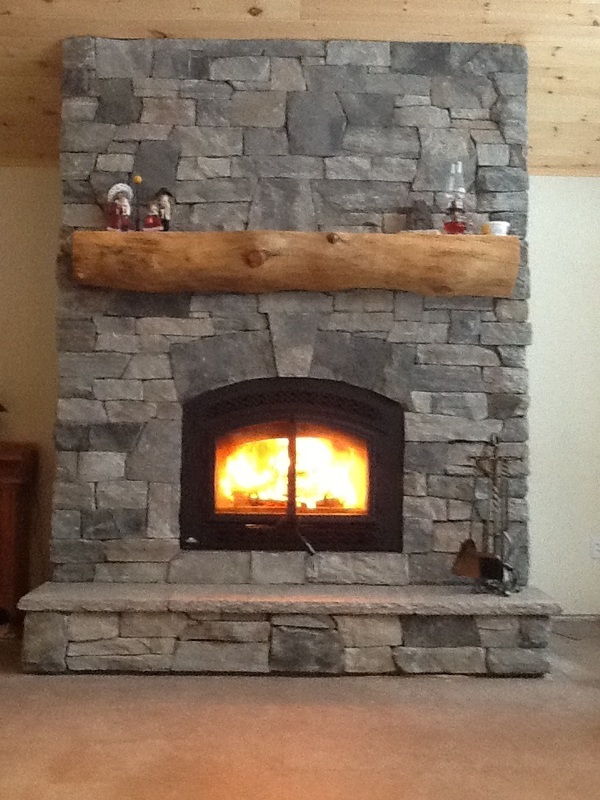 Why not give us a call at 705-794-6759 to book an appointment for us to come by and help you design the fireplace of your dreams. And remember that all our work is 100% guaranteed.